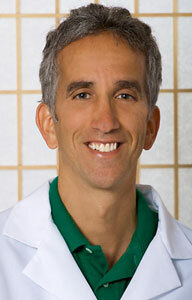 David Brownstein, M.D. is a Board-Certified family physician who utilizes the best of conventional and alternative therapies. 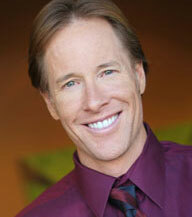 He is the Medical Director for the Center for Holistic Medicine in West Bloomfield, MI. He is a graduate of the University of Michigan and Wayne State University School of Medicine. Dr. Brownstein is a member of the American Academy of Family Physicians and the American College for the Advancement in Medicine. He is the father of two beautiful girls, Hailey and Jessica and is a retired soccer coach. Dr. Brownstein has lectured internationally about his success using natural items. 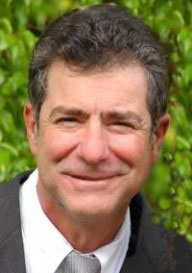 Dr. Brownstein has authored ten books: Drugs That Don’t Work and Natural Therapies That Do, The Miracle of Natural Hormones 3rd Edition, Overcoming Thyroid Disorders 2nd Edition, Overcoming Arthritis, Salt Your Way to Health, The Guide To Healthy Eating, The Guide to a Gluten-Free Diet, The Guide to a Dairy-Free Diet and The Soy Deception. Dr. Brownstein also authors a monthly health newsletter titled, Dr. Brownstein’s Natural Way to Health. Drugs That Don’t Work and Natural Therapies That Do, The Miracle of Natural Hormones 3rd Edition, Overcoming Thyroid Disorders 2nd Edition, Overcoming Arthritis, Salt Your Way to Health, The Guide To Healthy Eating, The Guide to a Gluten-Free Diet, The Guide to a Dairy-Free Diet and The Soy Deception. Dr. Christianson was a member of the first graduating class of the Southwest College of Naturopathic Medicine in Tempe, Arizona. Dr. Christianson specializes in thyroid disorders. He is the author of the ‘Complete Idiot’s Guide to Thyroid Disease’ and has written the chapters on Hypothyroidism and Hyperthyroidism for the 9th Edition of the Textbook of Natural Medicine. Dr. Jeffrey Dach is board certified in Diagnostic and Interventional Radiology and has 25 years experience serving the Memorial Healthcare System in Hollywood, Florida, with Radiology Associates of Hollywood. He is board certified by and a member of the American Academy of Anti-Aging Medicine (A4M) (passed exams December 2005) and also a member of ACAM. Dr. Dach was originally trained in clinical medicine, and worked as an Emergency Room doctor in Illinois. He then worked 25 years as a hospital based physician as a Diagnostic and Interventional Radiologist. After retiring from radiology in 2004, Dr. Dach returned to clinical medicine and founded a new clinic specializing in Bioidentical Hormones, and natural thyroid for low thyroid conditions. Dr. Prudence Hall, M.D. 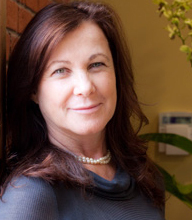 Founder/Medical Director Functional Medicine & Gynecology Dr. Prudence Hall obtained a Master's Degree in Health Sciences at the University of California, Berkeley, followed by an M.D. degree at the University of Southern California (USC) School of Medicine. She went on to do her residency in Gynecology at USC, and spent years as a busy surgeon and traditional practitioner. As her practice matured, she began focusing on the causes and treatments of aging illnesses, acquiring a broad base of knowledge in integrated healing and Functional Medicine. Dr. Hall, who has studied with the noted endocrinologist Dr. Diana Schwarzbein, has long been on the frontier of modern advances for menopause and rejuvenation therapies. 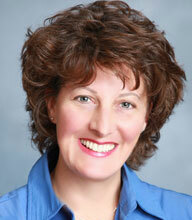 Dr. Prudence Hall, M.D., treats the root causes of diseases using Functional Medicine and integrated healing. Dr. Hall, who has been featured on Oprah, Dr. Phil, The Doctor’s Show and other media, is best known for her groundbreaking work treating both men and women with bio-identical hormones. "By using bio-identical hormones, detox cleanses, supplements and life style changes, we help patients reclaim their lives,” said Dr. Prudence Hall. “Patients look and feel great while at the same time actually becoming younger by reversing the root causes of diseases." Ann Stanger, M.D. is a native of Indianapolis Indiana and graduated from Indiana University School of Medicine in 1989. She attended University of Wisconsin hospitals/clinics for residency training in obstetrics/gynecology. Dr. Stanger has studied many alternative and functional medicine disciplines and opened her own private practice in 2001 in Madison Wisconsin. Dr. Stanger is a leader in bio-identical hormone therapy in her area and offers digital infrared thermal imaging to all of her patients. She is very interested in innovative treatment of the underactive thyroid for improved symptom relief. © 2011 ThyroidDoctors.com All Rights Reserved.